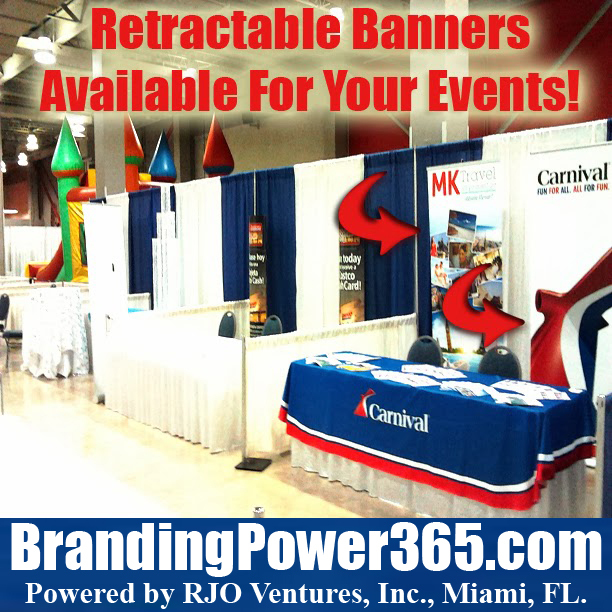 BrandingPower365.com: Order Your Trade Show Printing Like Carnival's #RetractableBanners and Table Throws For Your Events! High Quality Material, Low Prices and Fast Turnaround! Featured @ RJO Ventures, Inc., Miami, FL.